The Cave Research Foundation grew out of efforts of cave explorers working in the Mammoth Cave area of Kentucky in the late 1940's. Their original focus was Floyd Collins Crystal Cave (FCCC) and in 1954 the National Speleological Society (NSS) sponsored a week-long expedition to the cave. Exploration continued at FCCC under the auspices of the Flint Ridge Reconnaissance, led by Phil Smith, Roger Brucker and Roger McClure of the Central Ohio Grotto of the NSS, and Bill Austin Cave City, Kentucky) and Jack Lerhberger (Louisville, Kentucky.) As knowledge of the cave system grew, they began recruiting a team of explorers and researchers that would become the Cave Research Foundation. Successful exploration, new discoveries and persistent survey work in Flint Ridge led to the conviction that lasting value and continuity for the project required a formal organization. In 1957, the Cave Research Foundation was registered as a non-profit corporation under the laws of the state of Kentucky. Its goals were to promote exploration and documentation of caves and karst areas, to initiate and support cave and karst research, to aid in cave conservation and protection, and to assist with the interpretation of caves and karst to the public. One of the Foundation's first official acts was to join the National Speleological Society as an Institutional Member. The Foundation fully supports the NSS and encourages CRF members, and others interested in caves, to join the NSS. In 1971, the Guadalupe Cave Survey, which had been operating as a research organization in Carlsbad Caverns National Park, New Mexico since 1966, merged with the Cave Research Foundation. Formal operating procedures between CRF and Carlsbad Caverns National Park were signed at this time. The goal of this new western arm of CRF was to continue scientific study of the caves and karst of the Guadalupe Mountains in southeastern New Mexico and in adjoining areas. 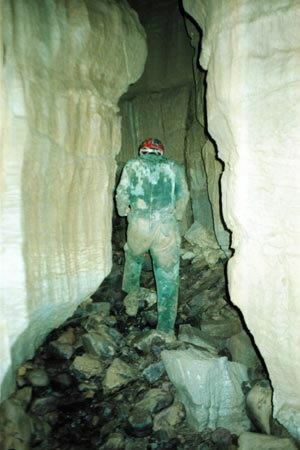 In 1976, the Lilburn Cave Project, Kings Canyon National Park, California, became part of the Cave Research Foundation. Presently, CRF's SEKI operation area organizes projects in Sequoia and Kings Canyon National Park. Also in 1976, another new CRF project was initiated at the Buffalo National River in Arkansas. Today's Fitton Cave Survey project started off as a resource inventory project working in both the Buffalo National River (NPS) and the Sylamore National Forest (USFS) in Arkansas. During 1987, the Foundation formalized support of an ongoing Missouri Project in conjunction with the Missouri Speleological Survey and the Missouri Deparment of Natural Resources (Division of Geology and Land Survey). Two more western areas joined CRF's research efforts in 1988. Operations in the Guadalupe Mountains National Park resumed the work that was originally initiated by the Guadalupe Cave Survey in the sixties. Field work continues to investigate the cave potential of the Capitan Reef in Texas. 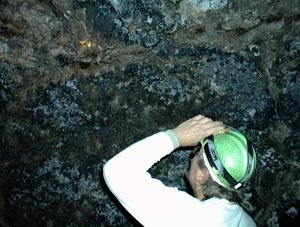 Inventory and monitoring of cave resources also began at Lava Beds National Monument, California. Curently CRF's operation area is assisting the National Park Service in their management and protection efforts there. Most of CRF's work is conducted on state and federal lands under a national Memorandum of Understanding with the National Park Service, U.S. Department of the Interior.